Interestingly, the first balls for the game of football made from the bladder of the animal. The only inconvenience for the players of those times was that strong blows to the ball quickly brought the main element of the game ruined. How to make a soccer ball from the more affordable materials, look on. Tire. 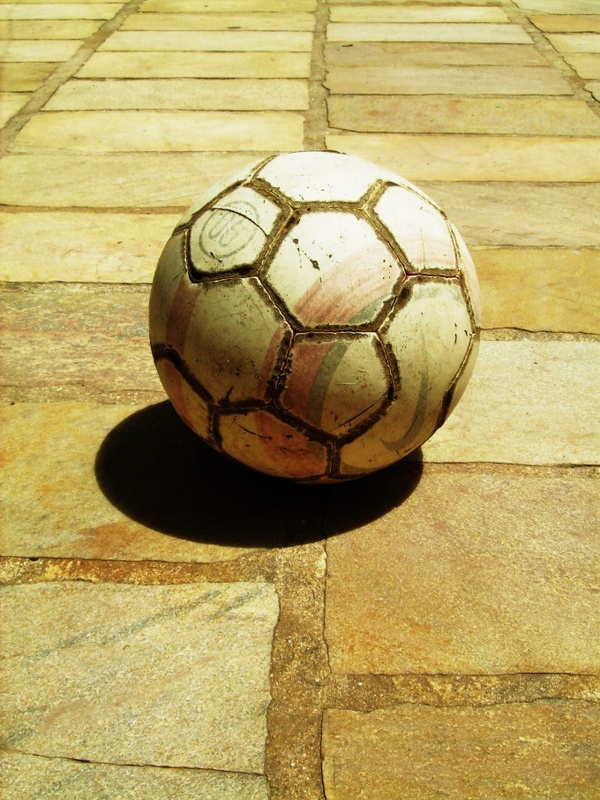 A soccer ball consists of three main elements – tires, pads, cameras. The choice of material depends on the strength of the ball and accordingly, the duration of the match. Often not to stop play to replace the ball, make it of synthetic material than leather. The skin is sensitive and absorbs moisture, which adversely affects sphericity of the ball. Use synthetic materials such as polivinichlorid or polyurethane. Lining. Lining fabric is located between the camera and the tire. It gives elasticity to the ball. The cheapest material for the lining – fabric and foam. These materials absorb moisture, and therefore increase the weight of the ball. It is best to take the treated cotton fibers that repel water. They should be put in the stitching on top of each other in different directions. Depends on the flexibility of the ball and the ability of the recoverability shape after impact. Camera. The camera gives shape to the ball and its rebound depends largely on its material. You can choose butyl or latex. The latex gives the sensitivity of the ball and eventually leak air, therefore is subject to quick deflation. Camera of the butyl will last longer but they are more bulky and rigid. The connection of three elements. Once you understood the materials and found a suitable, you should find a sewing machine. First, cut several pieces of the material of the outer tire, sew it to the lining pieces should be placed on each other in a chaotic manner. Shivaite all materials on the reverse side. Once the process comes to the last seam, connecting the sides of the ball, remove it from the wrong side on the front. Insert the camera and sew a special thick needle the last seam, hiding it inside.